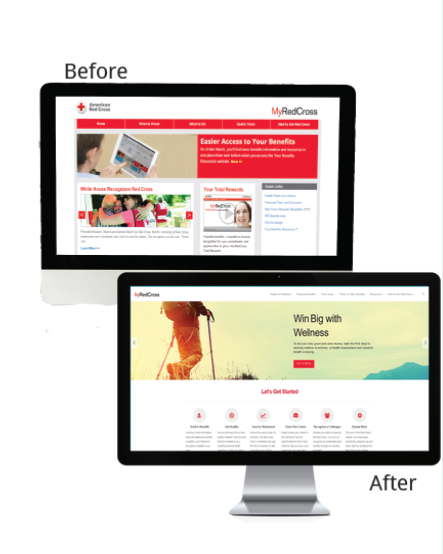 The American Red Cross had been partnered with an outside consulting vendor to create and maintain their Total Rewards communications, including their external accessible benefits information portal. The website portal was an off-the-shelf template solution, that required the company to invest hundreds of thousands of dollars to create, update and maintain – and the vendor retained access to the site, preventing the Red Cross from being able to update it as needed. To accomplish these goals, we started by examining the needs of the external web-portal: who would be accessing it, what kind of information they have historically been learning on the site, what additional needs are there that the other vendor had not been able to provide, and how much access and control the Red Cross wanted going forward. For the web-portal to be successful, it needed to serve two distinctly different audiences: candidates who are interested in joining the company and learning more about offered benefits and the culture; and current employees who are seeking up-to-date information about benefits and contact information. Reaching both audiences and creating easier access for updates, was a key success factor for this project. The first step in creating a more effective web-portal was to gain control of the asset and increase access for the Total Rewards team. There were several components to access including the domain name/url, content on the current site and a system to integrate and maintain the portal. After reviewing the available options, we purchased a new domain name and was able to transfer the content and purchase the media components within a one-week period – replicating the site to maintain continuity for the user while a new web platform and design was created. One of the biggest frustration points for the Red Cross, was the lack of direction or clarity on how the web-portal should be used and its overall purpose to the Total Rewards team. After two years of off-the-shelf updates and following best practices from other companies, the site was visited infrequently, did not have accurate information and was difficult to navigate. We created a value proposition and a plan for the new web-portal – with our audiences and the results we were seeking, as the driving factors. With a clear direction for the site, we were able to eliminate a significant amount of the clutter or the site, choose a more effective platform and create a design that was user-friendly for visitors and the Total Rewards team. The Total Rewards team needed to be able to have real-time access to make updates, design and editorial, as needed. 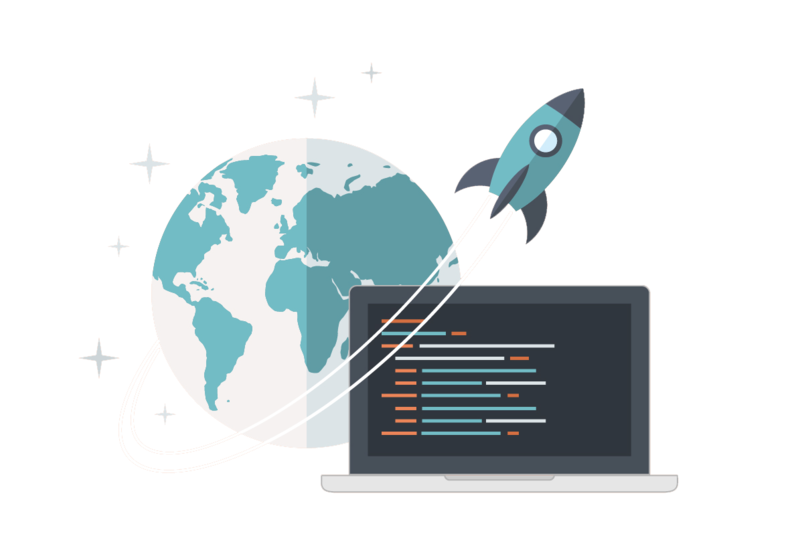 While evaluating the previous vendors platform and other available options, the platform chosen needed to be user-friendly for non-coders; have a low to-zero operating cost on an annual basis; and be easy to expand user-roles as the site expanded. The new platform alone, decreased the annual operating costs by $12k dollars per year and eliminated costly quarterly updates that were consistently around $50k. Creating a responsive designed website allowed users from all devices to interact with the web-portal in the most effective manner, ensuring a consistent experience and easy access to sought-out information. In addition to increased responsiveness, the portal was redesigned for quick access to resources: reducing the number of clicks to reach requested information; grouping information together in applicable categories; streamlining unnecessary pages; and using more graphics to enhance the user experience. Instead of having to request portal changes at least 90 days in advance and then spend several rounds of edits with the previous vendor, the Total Rewards team was finally able to update the portal internally at any time – ensuring accurate information at all times and being able to host several assets without additional cost, in addition to being able to create more engaging content. bettHR created a fully customized solution, that was easy to maintain going forward – without it being costly or time intensive. Previously, it was difficult to clearly understand the visitors’ behaviors on the portal – where they came from, what they looked at, how long they stayed on the site, and so on. Some of that information was available, but it was not accessible or malleable for scenario planning. 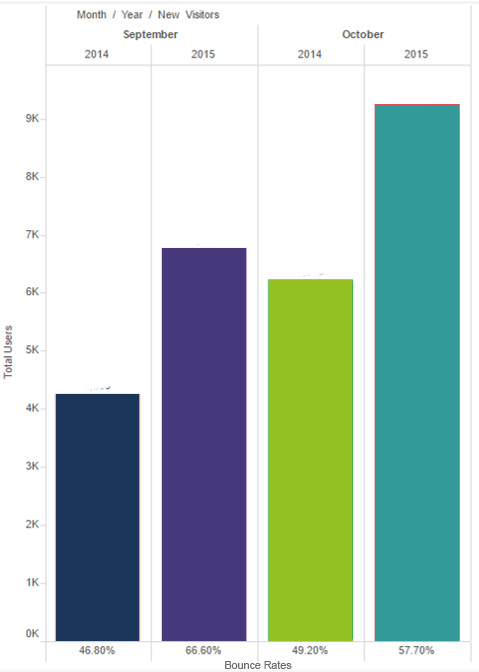 The new web-portal allowed for complete control over these metrics – showing increased visitors, especially during open enrollment, and lower bounce rates – meaning visitors stayed on the site for longer periods of time. Ready to Transform Your Total Rewards?